This is a great little board containing an EGBT-046S Bluetooth Module, voltage regulation, logic level conversion and an LED activity indicator. These modems work as a serial (RX/TX) connection, and are a great wireless replacement for serial cables. Any serial stream from 1200 to 115200bps can be passed seamlessly from your computer to your target. 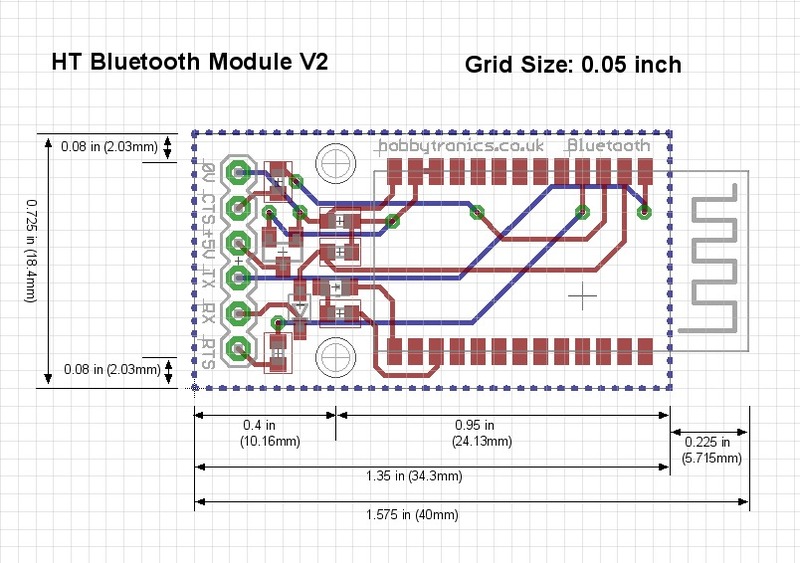 This is the latest revision to our board and includes one major change - Mounting Holes. We shuffled around the components to make room for two useful mounting holes. Apart from that it works the same as our previous version. 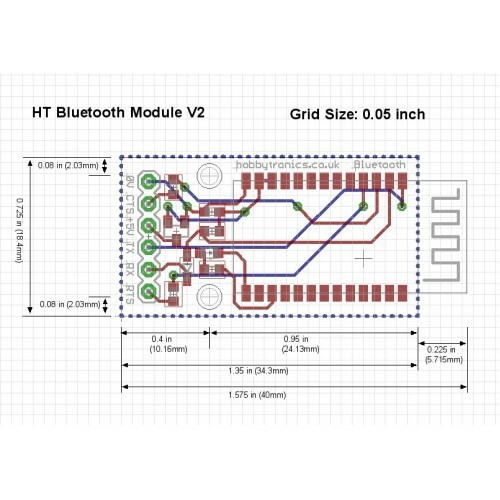 If the default configuration suits your application, then you can use the HT Bluetooth Module immediately. 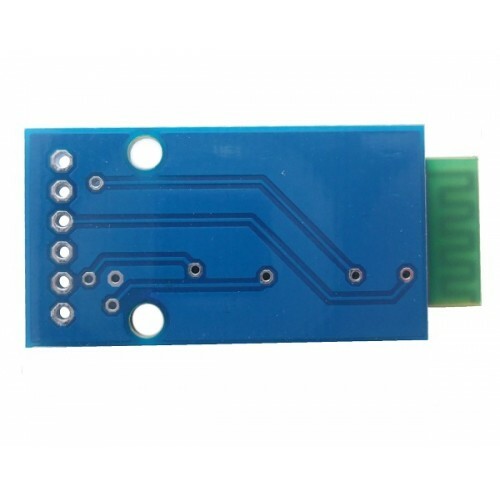 Once it is paired to a master Bluetooth device, its operation becomes transparent to the user. 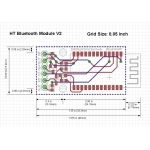 No user code specific to the Bluetooth module is needed at all in the user microcontroller program. 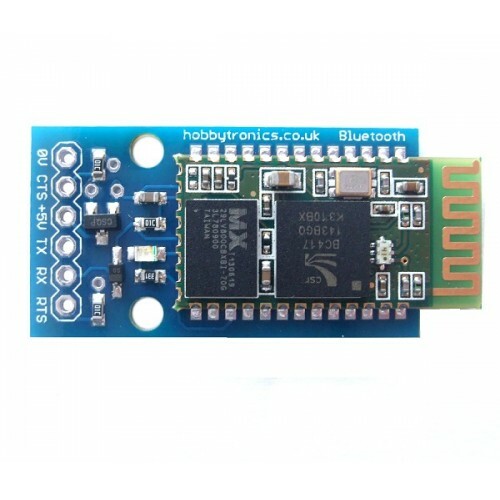 The HT Bluetooth Module automatically sets itself up in Command Mode when it is not remotely connected (paired) to any other Bluetooth device. You can change the Passkey, Device Name, and Baud Rate while the module is in Command Mode by entering a small subset of AT style commands. Any changes made will be retained even after power is removed, hence device configuration setup does not need to be repeated unless new changes need to be made. 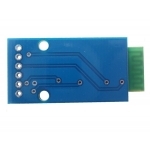 The HT Bluetooth Module does not wait for any termination character for each AT command entry. Instead, it acts to whatever character you entered after one second. So, if you are not able to complete a command entry within a second, it will be ignored. Because of this behavior, it may be extremely difficult to do manual entry configuration using Windows Hyperterminal software or similar. Terminal software that allows batch sending of multiple characters must be used. 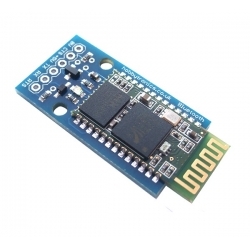 For this you can use the Arduino IDE, or alternatively our free HT Comm program is an ideal solution.